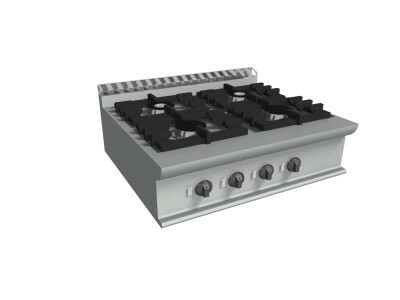 Stainless steel range with two burners and manual ignition. Bench model. 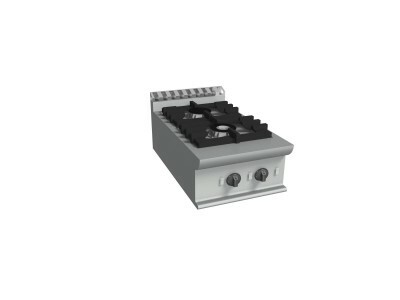 Stainless steel bench range with two burners and manual ignition. Stainless steel bench range with four burners and manual ignition. Stainless steel bench range with with four burners and manual ignition. 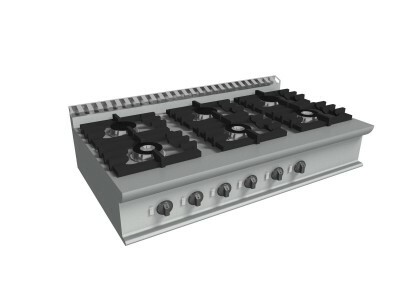 Stainless steel bench range with six burners and manual ignition.